A lot is said about the feature films, but what about the little crews out there trying to make it big with something small? 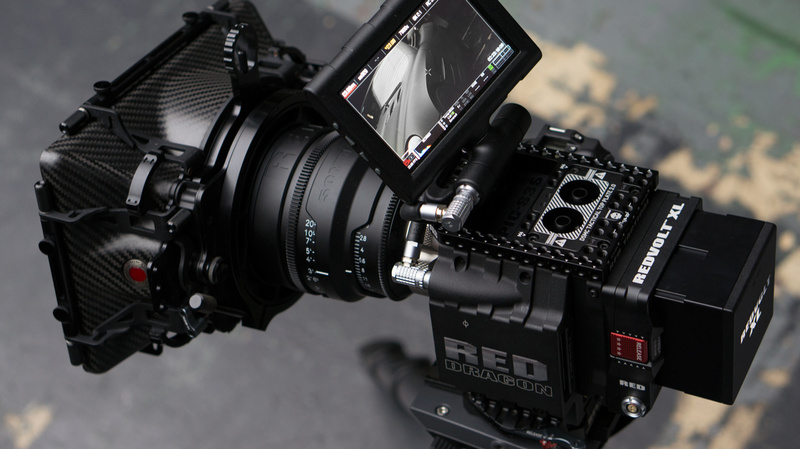 Movienomics realizes that there\’s an economical impact on a filmmaker at all stages of their career and we hope you can take something from these posts and apply them to your own films. So get ready as we serve you a slice of the short & sweet in cinema from some of most talented filmmakers emerging in the industry. Welcome to the Movienomics.com Short Film Sundae! 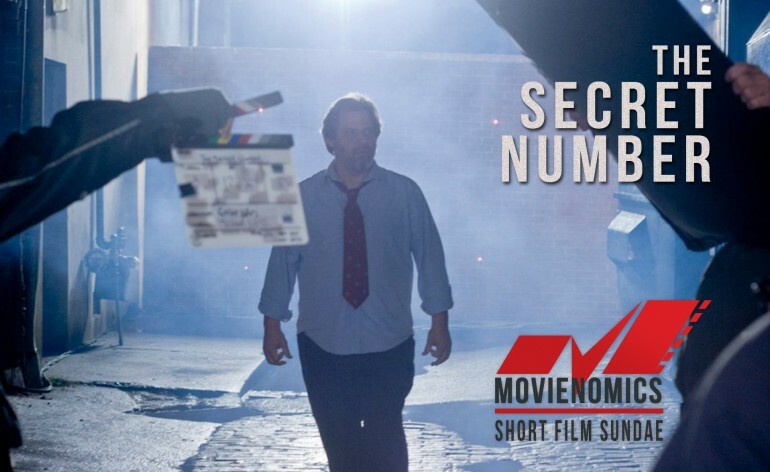 Grab your spoon and dig in as Movienomics.com scoops out the mysteries of the success behind ‘The Secret Number‘. Since its inception, this psychological thriller has intrigued audiences and does so brilliantly due to its high concept value and dark mystery that feels more like a feature film than a short. And it truly is a rare cinematic gem that stands out and delivers a mind-bending thrill in the span of 15 minutes that makes you question what is real, all within the simplicity of a few integers and one that’s a little more complex – “bleem”. While ‘The Secret Number’ takes you down a dark rabbit hole of wonder, it’s no question audiences love the film for its production value. Among its merits, it has won the Panavision Student Cinematography Award at the Savannah Film Festival, Jury Award for Best Short at the Charleston International Film Festival and even won for its visual effects and original score composed by two-time Jerry Goldsmith Award nominee, Jan Morgenstern. The film has also been featured on across the web on blogs like io9, JAG35, Short of the Week, Film Shortage, and was also a Vimeo Staff Pick. It’s no wonder why its director Colin Levy landed at Pixar, with his first credit working on this summer’s hit ‘Monsters University‘. The film’s producer, Frank Ponce, has also demonstrated his creative latitude and fascinating ability – directing and producing commercials for NASA. 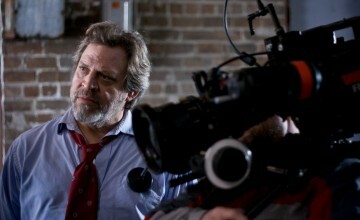 He even took home $100,000 from the South Carolina Film Grant to produce his next movie. A: We can thank the power of Reddit. 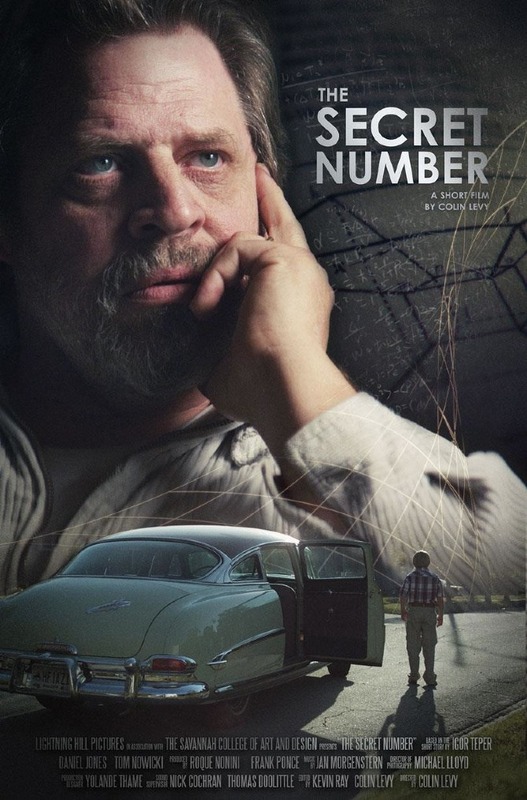 “The Secret Number” was a former front page post discovered by our director, Colin Levy. He reached out to the author, Igor Teper, to ask if he could adapt it for his senior thesis at SCAD. 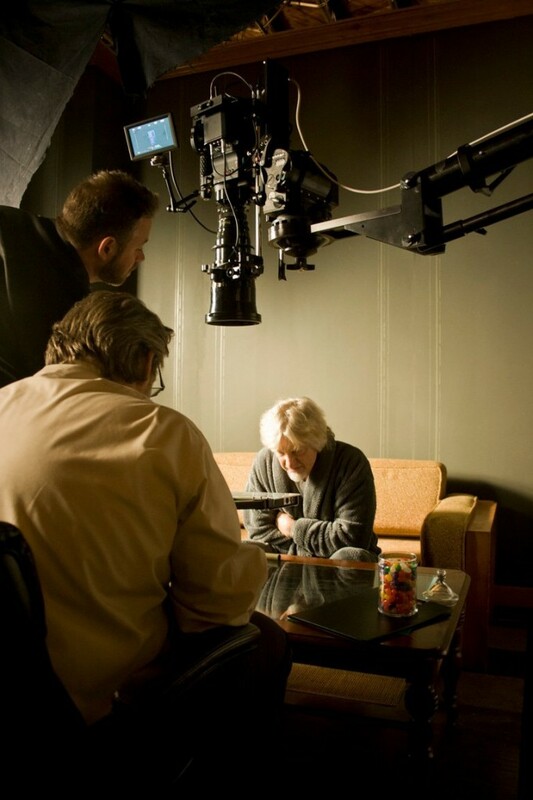 Igor gratuitously gave us permission for a short film adaptation and even helped write screenplay with Colin. A: We faced several obstacles in development that made could have altered the story significantly. (spoiler alert!) The time travel trope was something we knew would be tricky – especially as a short film. Colin and Igor didn’t want to force or explain “the secret number” as it could have jeopardized the film and could have cost runtime. Instead, we wanted to focus on our characters specifically, from Dr. Tomlin’s pragmatic perspective. I recall Colin delivering a “time travel trope” hail mary in the latter part of pre-production that managed to tastefully strengthen the relationship of our two main characters. A: I can say most of our budget came from our Kickstarter campaign. I honestly do not know how we could have pulled off this production without our backers. We had an incredible amount of support for this from SCAD and the Savannah community. A: Our saving grace in our budget came down to locations. Early in pre-production, we almost settled to a couple locations that would have certainly compromised our budget. Never settle! After weeks of location scouting, we managed to build two locations in an old warehouse in Savannah at a tremendous discount. Here’s another perk, the warehouse was leased by a refurbishing wood company called, Southern Pine Company. They gave us access to all their sites for any materials we may need and even lent us stage walls and supplies! Needless to say, many student films followed after our production. A: My favorite moment in pre-production was during the casting process. I recall seeing John Patton Ford’s Sundance short, “Patrol” (check out the trailer to the right) and knew I wanted to work with Daniel Jones! In that role, he was playing against his typecast and delivered a compelling powerhouse performance. Prior to “Patrol,” he was notorious for playing crazy eccentric characters. Naturally, Danny originally came in for our mad mathematician, Professor Ershiem. He gave such an incredible audition, we wanted to see more! I immediately called him and asked if he could read for Dr. Tomlin. The rest is history. A: We had a short-lived film festival run. Luckily, we picked up a few awards and made a decent splash online. A good bit of feedback from the online community asked, “if we had a feature in the works” for TSN. Unfortunately, we did not and in my opinion, it was a stand alone short film story. However, the next time I produce a short, I learned it will likely be best if I package it as a proof of concept short film for a feature. A: TSN, and short films in general, certainly opened several doors for us. I believe short films are meant to demonstrate and showcase your skills to the absolute fullest in such a short amount of time. 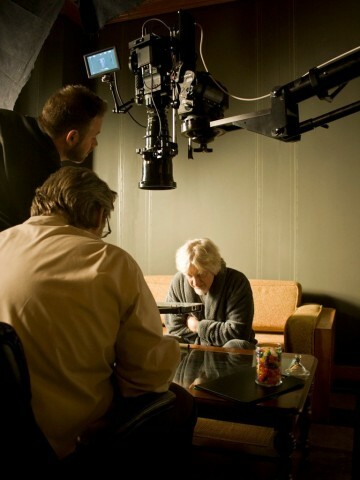 It’s been said that short films can be a calling card for a filmmaker’s future. I have certainly witnessed this with the talent on TSN. Prior to TSN, Colin directed an animation short film called, “Sintel” – which is at 3.7 million views on Youtube. He’s currently working at a Pixar. 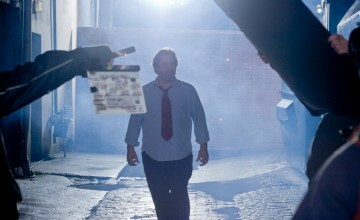 Our DP, Michael Lloyd is currently on his second feature film since TSN. I (Frank) am currently juggling multiple projects in LA and have acquired many great resources from TSN. We hope you enjoyed taking a few licks from this Short Film Sundae. Keep that spoon ready for more, but please rinse thoroughly. For Movienomics.com, a special thanks to the filmmakers, director Colin Levy and producer Frank Ponce. You can check out ‘The Secret Number’ in its entirety by clicking on the video above or going the official site here. Follow the filmmakers online @frankponce and @ColinLevy.